Ventura Collision Center offers a free service for you to check the status of your car repair 24 hours a day! 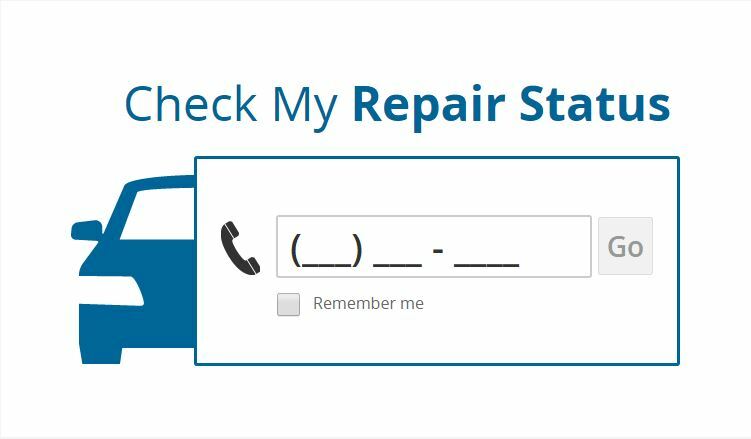 Login using your primary telephone number and you can view the most current photos and status updates of your car repairs. Click Here to Login using the primary phone number you have provided to Ventura Collision Center for your repair. Pictured below is what the Login page will look like when you are redirected. If you are having trouble logging in, please call us and we will happily assist you.